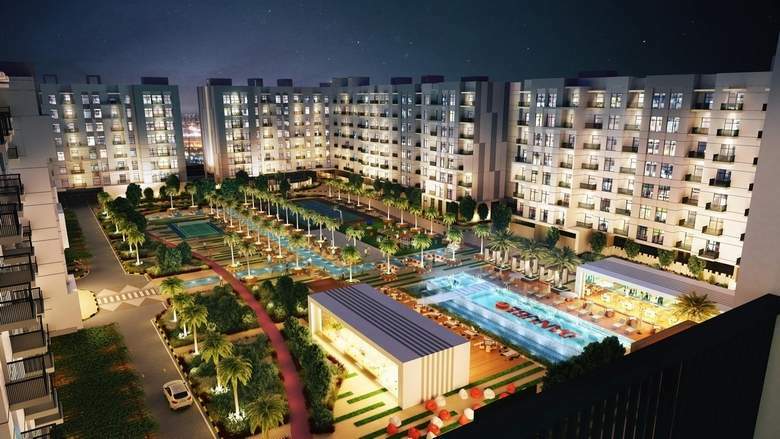 Danube Properties has announced that it has sold 80 percent of the phase 1 of Lawnz, its AED550 million ($150 million) affordable housing project, within three days of the project’s launch. Phase 1 consists of 515 residential units, comprising studio, one-bedroom and two-bedroom hall apartments with prices starting from AED290,000. A second phase of the International City-based project will follow. Lawnz, Danube Properties’ 11th project comprises of 1,064 units which will take its portfolio to 4,744 units with a development value exceeding AED3.7 billion since its foray in the Dubai real estate market in 2014. Construction of the project is expected to start in the third quarter of 2018 with completion in 2020. Lawnz is the first gated complex at the International City with state-of-the-art amenities. “The huge response to Lawnz reflects the fact that there is no shortage of buyers for the right quality property to be built at the right location with the right pricing and the right payment plan,” said Rizwan Sajan, founder Chairman of Danube Group. Amenities include a massive 3.8-acre promenade which offers a canal, sunken plaza, health club, swimming pool, steam and sauna room, multi-purpose hall, jogging track, barbecue deck, and outdoor cinema. Atif Rahman, director and partner of Danube Properties, said: “We have declined many requests from large investors to snap up part of the project and had decided to open the doors for the real property buyers who have been priced out by the high price in the market. “Hundreds of property buyers lined up at our office to get appointment to buy the apartments. I am happy to announce that Lawnz has invoked unprecedented response that strengthened our self-belief in our ability to serve Dubai’s real estate market and property buyers in a bigger way.” Danube has delivered 831 properties so far including the handover of 302 units within Glitz Residences 1 and 2 and 358 in Glitz Residences 3 as well as 171 townhouses at Dreamz project. It will deliver a further 870 units later this year. The developer has so far launched 11 residential projects, of which four have been delivered, two are getting ready for delivery while four others are at various stages of construction and one in tendering stage.